Find us in Facebook and Twitter! You are currently browsing the category archive for the ‘Sample Sales’ category. I am pretty sure that with Christmas around the corner, everyone would be more than happy to have another excuse not only to indulge on yourselves but to feel as a savvy shopper for your beloved ones pressies!! New stock arriving daily with knitwear and dresses from £20, trousers and shorts from £20, shirts and blouses from £15, kidswear from £5, accessories and swimwear from £5. Cash, Debit and Credit cards are accepted apart from American Express. There is a £1 charge on credit cards. Vogue Fashion´s Night Out in London, here we go!! The SPIRIT OF FASHION is touring the UK to celebrate three award-winning fashion designers, Carolyn Massey, Matthew Miller & Rachael Barrett, with their first stop being Seven Dials in time for Vogue’s Fashion Night Out. The collection, consisting of 12 exclusive garments, focuses around “Re-invented Classics”, which are all made in England with luxury fabrics. Especially for Vogue Fashion’s Night Out, shoppers can enter a prize draw to win a piece from the exclusive collection, quiz the designers themselves and sip cocktails while listening to the celebrity DJ, late into the night. SPIRIT OF FASHION pop-up is open from now until 18th September at 4 Monmouth Street, Seven Dials, WC1H 8JB. Sales blooming accross London, plan your savy shopper tour! Quoting Selfridges, so many beautiful things, so little time…If you want to make the most of the most waited for week of the year, the Summer sales’ one, you have to plan your agenda with military precision!! Keeping with the luxury department store, as well as with hottest trend this year, not only for this season but also for the coming one, take good care of colored jeans. Try 7 for All Mankind, the uber trendy Citizens of Humanity (specially if you are among those having a girlie crush with Miss Middleton, the Pippa one, of course) or covetable Juicy Couture. Next stop, high street´s big brothers! Gap is well worthy a visit as they are giving away tons of summery basics with discounts up to 50%off. Their selection of stripped cotton t-shirts and work attire staples is just unbeatable…New Look is treating its loyal ones with free sunglasses for any purchase over £35, don´t wait until the last, as they will do it for short! Hit Top Shop online to make the most of their sale range, don´t miss this absolutely basic yet glam indigo shirt dress, perfect with wedges or brogues. Also at click reach, don´t forget visiting Warehouse, they are also offering 50% discounts in a large range of ittems, including this cute cropped and fitted denim jacket. Never mind if you didn’t get your tickets for Ascott, you´ll need a nice day dress, so visit Oasis and try on the Senorita number, perfect for cocktail parties and smart garden fêtes. 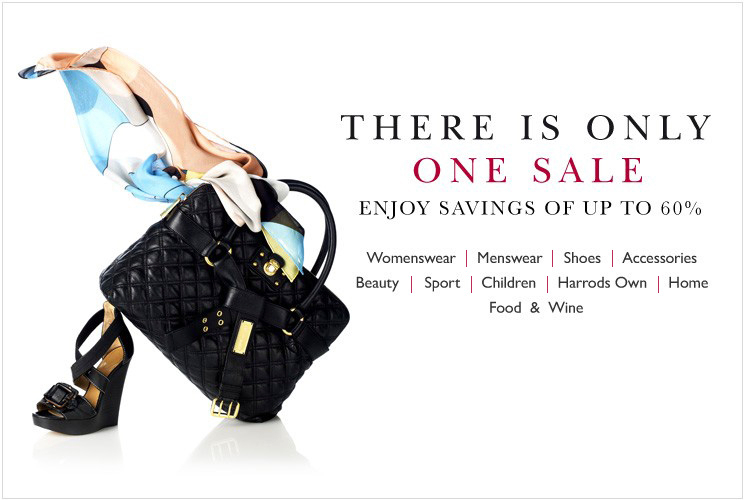 Finally, treat yourself at Harrods, as they offer you the chance to get your hands on designer pieces with 60% off!! The Scotish spoilt child of British Fashion will be throwing a shopping escape labeled with catchy 70% off tags on its ready-to-wear and accesories. Christopher studied at Central Saint Martins for six years. He interned with Giles Deacon and Russell Sage before setting up his own label as soon as he graduated. Today, 5-9 p.m.; Fri., 11 a.m.-6 p.m.
Londonewcastle Depot, 1-3 Wenlock Rd., N1 7SL. Run to Bicester Village…British Designers Collective are popping up! The British Designers Collective is popping up at Bicester Village. Don´t wait too much because even as it runs for 6 weeks until 7 May, it is too good to last for long! The Oxfordshire based designer shopping outlet will be offering designer pieces from some of fashion’s most currently tipped talents, such as Felicity Brown, Jonathan Saunders and Holly Fulton at discounted prices. Launched this morning by British Fashion Council chairman, Harold Tillman and model and campaigner, Erin O’Connor, who commented, ‘It provides the perfect opportunity to pick up key designer pieces from the very best up and coming British designer talent at an affordable price tag,’ said Erin. Other designers featured include Marios Schwab, Julien Macdonald, House of Holland with price tags at up to 60% off. No time to waste…Matthew Williamson Sample Sale! Sun is shinning, the weekend on its way around the corner…Are you sure you want to go straight to your after office drinks tonight instead taking a sneak peek at Matthew Williamson´s sample sale? If take the smart decision and decide to treat yourself, you will find up to 70 per cent off ready-to-wear and accessories. Hurry up as this super sale just lasts until 7 p.m. today!! Head to the Music Room, 26 S. Molton Ln., W1K 5AB and enjoy your butterflies…by Matthew Williamson! This weekend it pays to come down to Kurt Geiger as they are giving away their last Winter beauties at quite appealing prices. With discounts up to 50% off it could be your chance to acquire a comfy pair of loaflers, super hot this Spring, or just indulge yourself with a bespoke stilettos featuring the colour block trend. If the weather doen´t help you to go around, try to skip into Yoox online candies. Their celebrating a last call sale with discounts up to 80% and extra offers. I already spotted a Missoni bag for half it original price and tons of Diesel jeans for 40 quid, including the sought after 70´s flare legged ones! 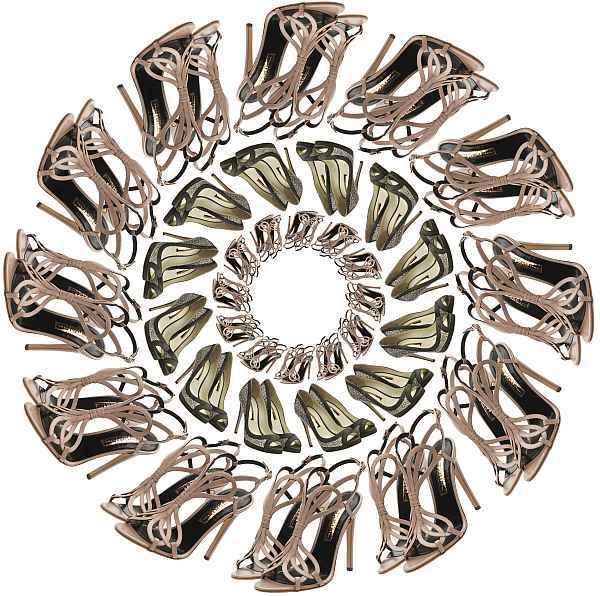 Put Georgina Goodman´s shoes on…sale! If you are crazy about shoes and already dream of those marvelous wedges, booties, espadriles and impossible heeled sandals for this arriving spring, this week the Londoners shoes fairy Georgina Goodman has painted the town in red and will be offering up to 80% off until this Saturday. Don’t find anything? Look it up! MiniTangerine, fashionism with tons of Spanish taste! Un boton diferente From knitted scarves to baby baskets, all hand made with tons of style and even more dedication! Is Dior considering taking back Galliano?